Today, July 9, was the first day for Xiaomi on the Hong Kong Stock Exchange, with the stock closing at $2.14, giving the Chinese smartphone manufacturer a valuation of nearly $50 billion, though it should be noted that this is half the market capitalization of $100 billion that was expected from the IPO. 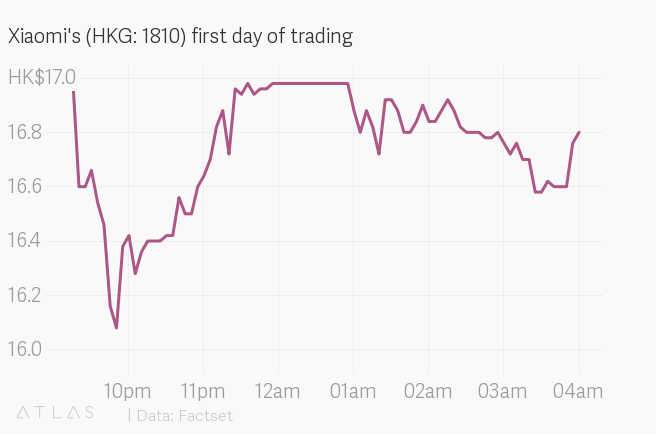 The day began with a value of HK $16.60, plunging down by 6 percent before closing up 1.2 percent. This is lower than the HK $17 value, at which the public offer was priced before the listing, indicating a lackluster response to the stock. However, Xiaomi was still able to secure $4.7 billion USD from institutional investors. 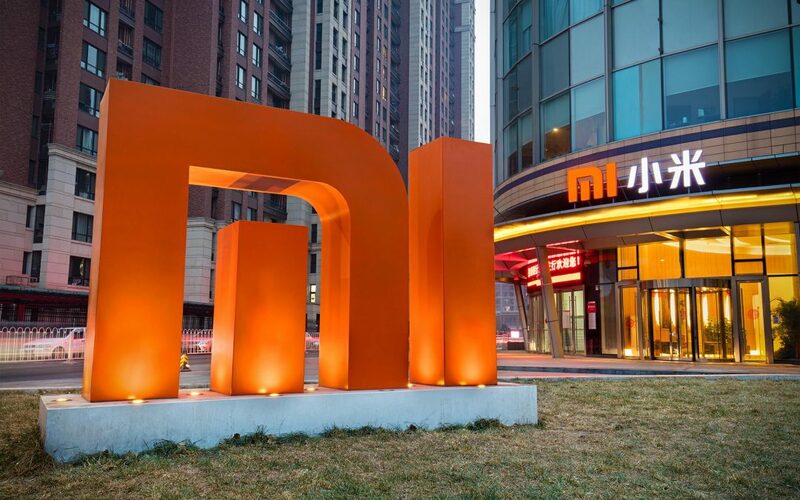 One of the reasons that could be behind the lukewarm response is said to be Xiaomi’s backstory before the listing which didn’t go down well with the retail investors. Xiaomi’s founder Lei Jun described his company’s business model as a ‘triathlon model’ with three components; third-party hardware sales, smartphone sales, and ‘internet service’ sales which include media and ads. Even though much of the company’s revenue comes from smartphones sales, Xiaomi has pinned its hope on internet services to account for most of the profit in the future. The structure isn’t just entirely new, it is surrounded by uncertainties. The Android smartphone business is unstable and it dealt a crushing blow to successful companies like HTC, Sony, and Nokia, which has only now started to pick up the pace thanks to the partnership with HMD Global. Moreover, a tech company has previously never utilized its smartphone and hardware business to pedal its internet business unit, which made investors skeptical. Paul Gillis, an accounting teacher at Peking University, Beijing, believes that investors are finding it difficult to buy this story. To justify the valuation, Xiaomi has to transform and it is hard to say if it can do that. It is not all that surprising that Xiaomi was met with a lukewarm response, as it has not been a good year for stock exchange debutants in China. A lot of companies that went public in 2017 and 2018 have seen their share prices plummeting and the situation was made worse thanks to the ongoing trade war between China and the U.S.